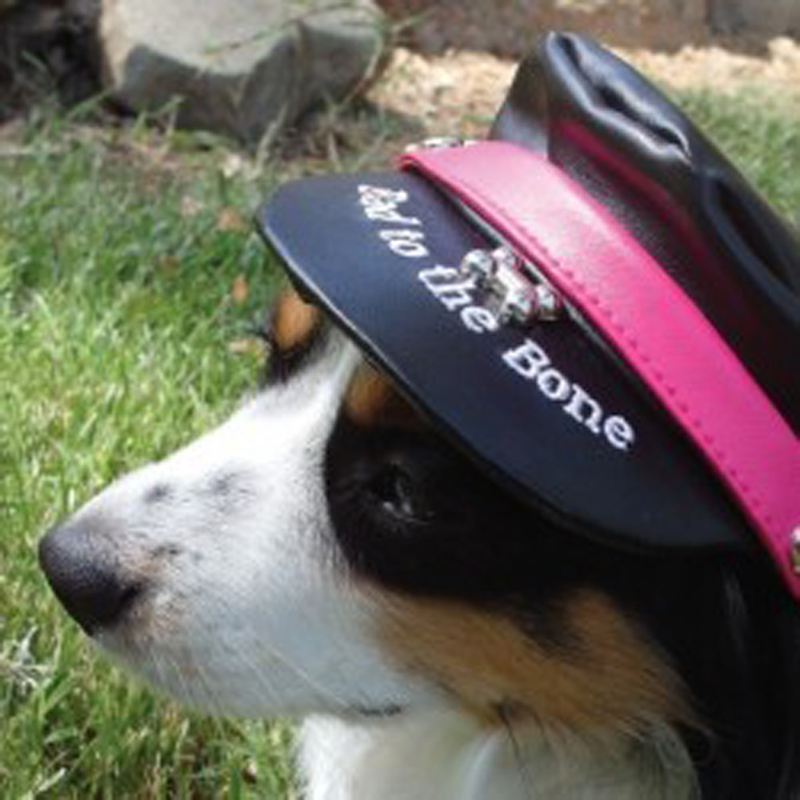 Hit the open road in style with out Bad to the Bone Biker Dog Hat by Doogles! Wearable with an adjustable elastic chin strap and ear loops. Bad biker dogs need the bad to the bone dog clothes! This cool hat will look great on its own or paired with any of our other "biker" gear! Careful this hat stand out and demands attention, not intended for the shy and timid dog! Bad to the Bone Biker Dog Hat - Black with Magenta Trim Customer Photos - Send us your photo! ItzyBitzy Mitzy was always "Bad to the Bone", but now with her BaxterBoo Bad to the Bone hat, EVERYBODY knows it! Peaches shops at BaxterBoo a lot! Since she's the hostess at my animal hospital, she is expected to dress well and sassy! Posted On 08/21/17 by Deborah M from Saint Petersburg, FL Yes, Deborah M recommends this product! My girl is ready for Bike Night at the Dawg Bar. Velcro adjustable chin strap and ear holes keep cap in place. Great design. Compliments pink Biker Dawn faux leather vest. This biker hat is tough stuff, so cute! Posted On 04/11/16 by karla L from New Westminster, Yes, karla L recommends this product! This is so cute gave it to my friends dog because she is a girl can't wait for mine to come in for my boy. Thank You Baxter Boo you have gotten 5 stars from us and our business too. Such cute items so excited for my dog to try!